Time Trouble is a 1984 Masters of the Universe children’s book written by Roger McKenzie and illustrated by Luis Eduardo Barreto. 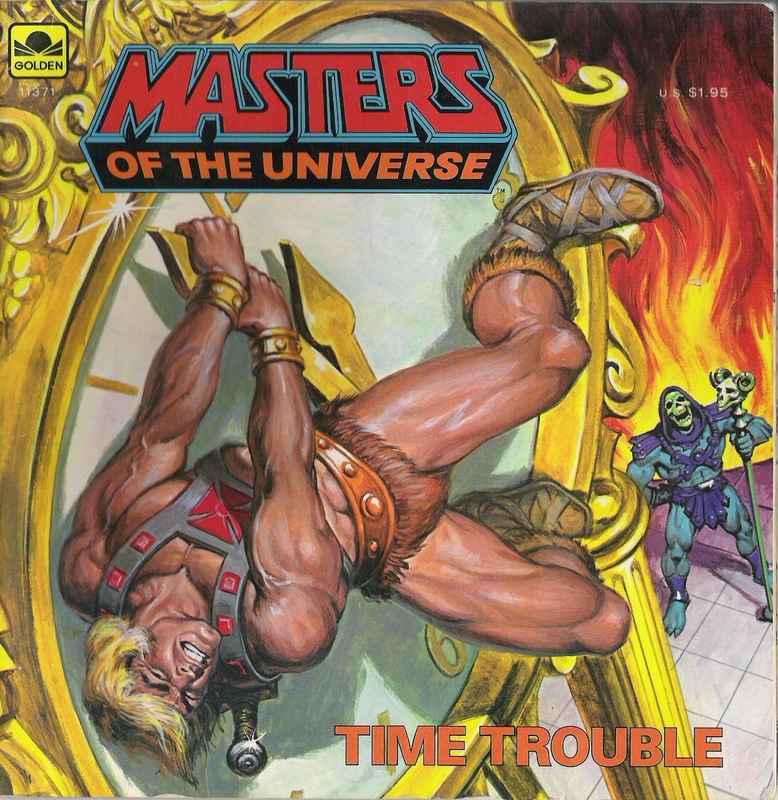 Here, Skeletor finds the Cosmic Clock, with which he can control time, and kidnaps the Sorceress. The plot isn’t anything particularly novel – Skeletor locates an overpowered magical artifact, tries to use it, and He-Man stops him at the last minute – but it’s executed well, and in suitably dramatic fashion. It’s also nice to see Orko legitimately helping and not screwing things up. Barreto’s art is impressive – he does a fine job with the layouts and action scenes, and his portrayals of the characters in their Filmation styles (except, for some reason, snake-head Teela) is quite good. The only complaint is with the coloring – Man-At-Arms, for example, is drawn with his symmetrical cartoon armor, but only one arm is colored. And bonus points for the great Earl Norem cover. The story might not be a world-beater, but the art is above average and it’s a fun read.